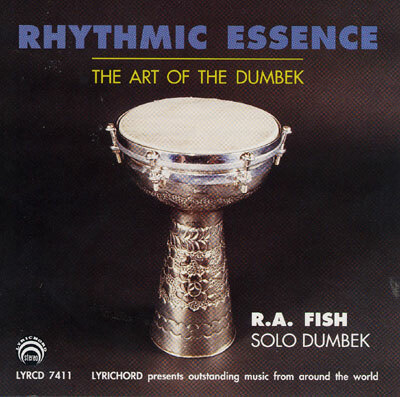 World-class percussionist R.A. Fish explores a myriad of rhythms performed on the small but powerful ancient drum of the Middle East. An electrifying odyssey into the realm of world drumming that includes the fundamental rhythms for belly dancing. A truly phenomenal sounding, all-digital recording. Some selections feature bells or flute.